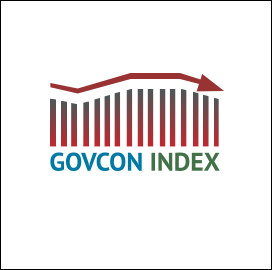 GovCon Wire is changing its coverage of the GovCon Index and major indices. 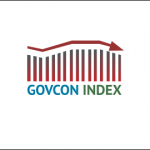 GovCon Wire will now be providing weekly performance analysis instead of the daily for the GovCon Index, S&P 500, Dow Jones Industrial Average and NASDAQ Composite. In reviewing the past weeks market performance the Executive Mosaic GovCon Index (GCI) ended the week down 0.45 percent from Mondays opening price settling at 106.818. Of the thirty stocks that make up the GCI advancing shares and declining shares split evenly. The three major indices closed mixed on Friday; the S&P500 closed up by 0.09 percent to 2,578.85 while the DJIA ended the week at 23,358,24 a negative 0.04 percent and the NASDAQ Composite advanced by 0.82 percent to 6,782.79. WTI crude oil on the NY Mercantile Exchange remained pretty much unchanged for the week closing down 0.58 percent to 56.57 per barrel.